When I noticed myself getting tired playing sports and playing with my kids. When I saw a picture of myself in a swimming suit and realized how overweight I had become. I exercised, stopped drinking as much alcohol and paid attention to what I ate. Eating right. I still cheat more than I should. I have kept the weight off for about 8 months now. I lift about 3-5 days a week and do cardio about 2-3 days a week. ShapeFit helped me learn basically everything I needed to know since I couldn’t afford a trainer. 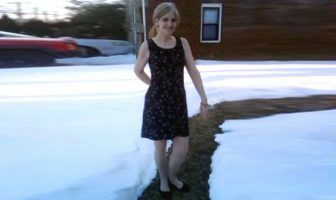 I knew nothing about exercise or diet when I started. I didn’t know how to eat right, I didn’t how important lifting weights was. I was just doing cardio for a while and then I found ShapeFit.com and it helped me learn when and how to lift properly, how to eat properly and the most effective ways to do things. ShapeFit is filled with very useful information. 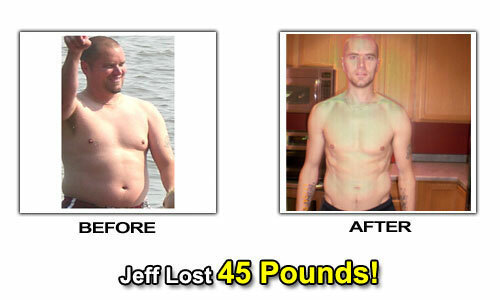 Jeff’s Weight Loss Eating Plan! 4-6 egg whites, fat-free Kraft single, 1 packet of oatmeal with flaxseed or peanut butter and toast. 4 or 8 ounces of chicken breast or salmon, broccoli or green beans, sweet potato or brown rice. 4 or 8 ounces chicken breast or salmon with any of the following: salad, broccoli, green beans, mixed veggies. Protein powder, fat-free cottage cheese, almonds, peanuts, canned chicken in water, various fruits and veggies, natural peanut butter. At first I did cardio 5-6 days a week. I would switch between treadmill, elliptical, stationary bike and jumping rope. Now I do cardio about 2-3 days a week and it’s all HIIT for 20-30 minutes. HIIT is where I spend 30 seconds at a steady pace and then 30 seconds to 1 minute as hard as I can go.